LB793, as introduced by Ralston Sen. Merv Riepe, would permanently eliminate the entitlement, which otherwise would resume in FY2020. As amended during general file debate April 6, the bill creates a safety net that would be triggered to require the state Department of Health and Human Services to provide comparable services only to high school graduates if the department does not have enough funds to provide services to all eligible individuals under the waiver. 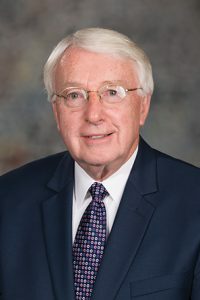 Riepe offered an amendment during select file debate that would limit the bill’s provisions to individuals who are transitioning from the education system upon reaching age 21 on or after July 1, 2019. He said the change would ensure that the state’s safety net program would apply only to residents with developmental disabilities who are graduating from Nebraska high schools. He said that without the amendment the bill would have a fiscal note of approximately $5 million. The amendment also would clarify the type of services that would be available under the program and limit the bill’s provisions related to aging and disability resource centers. LB793 contains provisions of Lincoln Sen. Kate Bolz’s LB1004, which would extend a pilot program that requires the state’s area agencies on aging to establish partnerships with one or more lead organizations that specialize in serving people with disabilities to develop an ADRC plan. The Riepe amendment would limit that provision to area agencies on aging that choose to receive funding from the department for that purpose. Following adoption of the Riepe amendment on a 41-0 vote, the bill advanced to final reading by voice vote.